In September 2014, thanks to many years of efforts by the Foundation for Polish Science, classes for students were launched at the Polish Chair at Columbia University in New York. and Poland. The fundraising target was reached in 2009 as a result of a campaign led jointly by FNP and the Polish Consulate General in New York. The current value of the Polish Chair endowment is about USD 6 million. research unit with the right to award degrees. Courses are to be held in the local language of the country and should be an integral and stable element of the university structure. These are not philology studies of the “literature & language” type traditionally offered at Slavic studies departments. 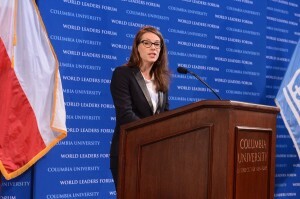 The Polish Chair operates within the Columbia School of International and Public Affairs. Its program is addressed to students from all over the world. 19th and 20th centuries, the history of the social sciences, historical anthropology, and Polish-Jewish relations. The Polish Studies program was launched at the University of Cambridge in the UK in October 2014. It is the second initiative by the Foundation for Polish Science to create Polish Studies programs at prestigious foreign academic centres. The Cambridge Polish Studies initiative is preparing a future generation of British leaders in industry, government, science and the arts with an extensive knowledge of Polish culture, language and history. At the same time, the initiative aims to spark a new public dialogue on Poland and its region in the United Kingdom, the EU and beyond, while also conducting world-leading research in Polish culture and society. Cambridge Polish Studies was launched thanks to four sponsors: the Foundation for Polish Science, the Grabowski Foundation, the University of Cambridge, and the Zdanowicz Foundation. The centre received funding from FNP in the amount of GBP 110,000 and has its operations assured for 2014–2018. To expand the Polish Studies formula at Cambridge and ensure its stability, FNP plans to create an endowment fund, which requires sponsors to be found in Poland and the UK. 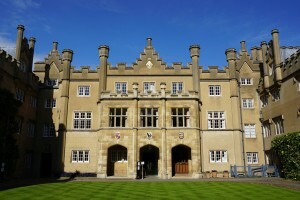 The Centre for Polish Studies would continue to be located at Cambridge, but instruction would also be offered by specialists in Polish affairs from the University of Aberdeen, the University of London, and other British universities. Cambridge Polish Studies operates as part of the Faculty of Modern and Medieval Languages. It offers the possibility to study the language, literature, art and culture of Poland, with attention to social, cultural and political issues. The instructional program extends beyond the lecture hall to include a series of events designed for the academic community as well as the general public, as the goal of the studies is to increase overall knowledge of Poland. The program includes readings by authors, conferences, film showings, and other events. Dr Stanley Bill became the head of Cambridge Polish Studies through an international competition. Dr Bill was born in the UK and raised in Australia. He is a comparative literature scholar. He earned a BA at the University of Western Australia and an MA in European studies at Jagiellonian University. He lived for several years in Bielsko-Biała, where he taught English. He earned his doctorate at Northwestern University in the US with a dissertation on the work of Czesław Miłosz. *Photo: University of Cambridge, FNP archive.